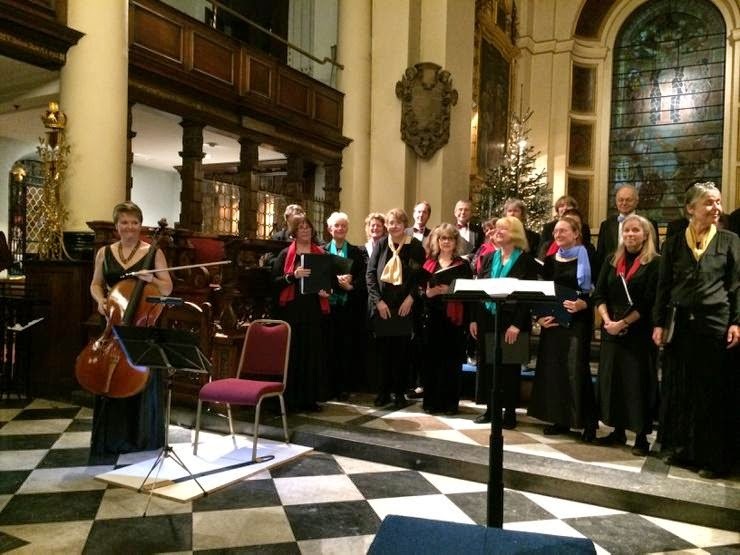 Thursday's concert by London Concord Singers (18/12/2014) at St Botolph without Bishopsgate was tinged with more than a hint of melancholy and emotion. 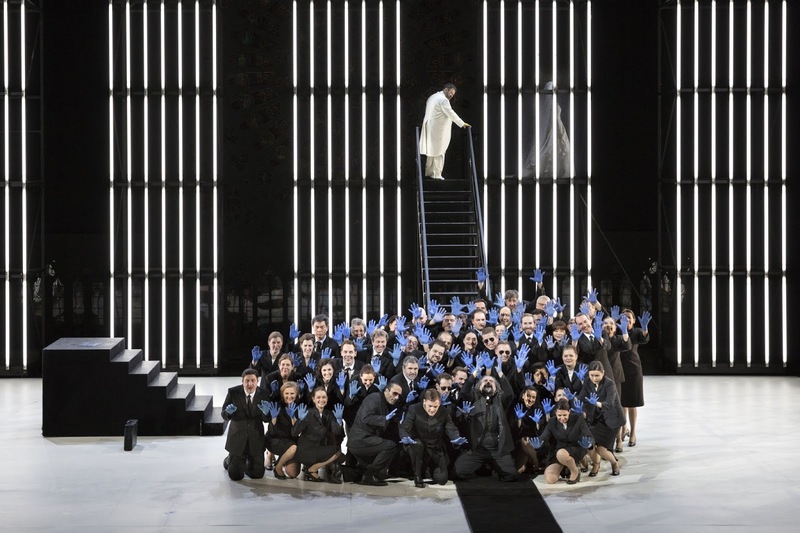 The concert took place ten days after the death of the choir's founder and music director, Malcolm Cottle, and the audience included a large number of friends and former choir members. The programme proceeded unchanged, conducted by the Matthew Collins who had stepped in at 24 hours notice to take over the final rehearsals and concert. The programme included three works with cello solo, played by soloist Corinne Morris, the premiere of my own Faith, Hope and Charity for cello and choir, Richard Rodney Bennett's A Farewell to Arms and John Tavener's Svyati, plus works for choir in an eclectic collection of composer's typical of Malcolm Cottle - Palestrina, Victoria, Samuel Scheidt, Otto Nicolai, Urmas Sisask and Bernard Hughes. Corinne Morris also played a selection of movements from Bach's First Cello Suite. The programme had arisen when I suggested performing Faith, Hope and Charity to Malcolm, after I had created the work for Corinne. He accepted my suggestion and we planned to pair it with Tavener's Svyati which was a work that he liked and which London Concord Singers had performed before (with Malcolm's son Jonathan playing the cello part). Malcolm also then suggested adding the Richard Rodney Bennett to the programme; this was a work that I had heard live performed by John Rutter and the Cambridge Singers in March this year (see my review) and had suggested to Malcolm at the time. This was certainly not a seasonal programme, the main works had little sense of Christmas or Advent. In fact, rather poignantly all had an elegiac sense of memorial. My own piece was originally written for soprano solo as a wedding piece, but transferred to the cello the solo line (accompanied by hypnotic drones from the choir) took on a remarkably elegiac feel. 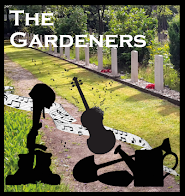 This was also true of the Richard Rodney Bennett, a large scale and complex work in which the choir sings settings of a pair of poems which describe a former soldier now in retirement, with the cello representing the protagonist. And, though it was not explicitly mentioned, there was a suggesting in programme notes for the work that that cello solo at the end represented the protagonist taking his final sleep. Equally unnervingly, the programme note for Svyati which is quoted in the vocal score mentions that the text used is sung during the Russian Orthodox burial service as the coffin is closed and borne out of the church. I can't really comment on the performances, I was singing and all of us were striving to do justice to the music in very emotional circumstances. The solo playing from Corinne Morris was magnificent and finely expressive. I was very taken with her performance of my piece, and do hope that this version of the work can be done again. And certainly the audience seemed to think so to. The concert concluded with a short encore, as the choir was joined by many former members to sing Concord from Benjamin Britten's Gloriana Choral Dances.